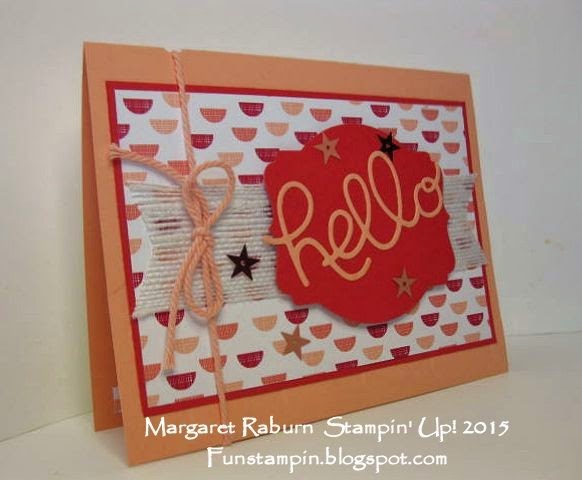 Do you want a card that is simple and easy to make? I have one today using the Hello You Thinlits Dies in the new Occasions 2015 Catalog. This set of four thinlits contains the very usable words "hello", "you", "thanks" and "happy". 1. For card base, cut an 8.5" x 5.5" piece of Crisp Cantaloupe and fold in half. 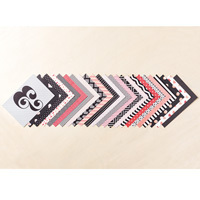 Using the Large Polka Dot Embossing Folder, emboss the lower half of the card front. 2. 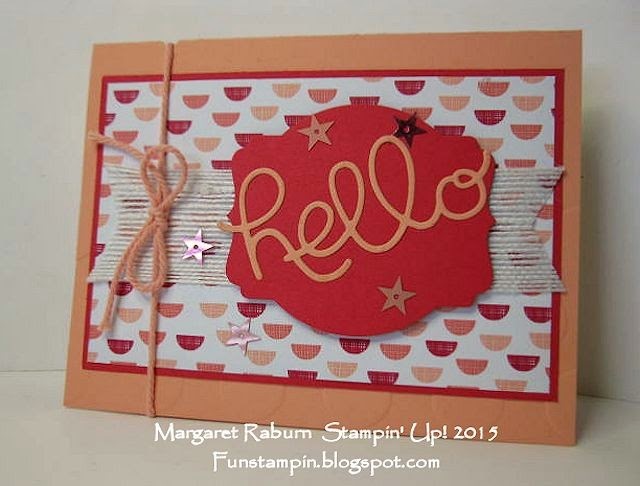 Cut a layer of Real Red at 3-3/8" x 5-1/8" and layer with a piece of designer paper cut to 3-1/4" x 5". Adhere this to the card base. 3. Cut a length of White Jute Ribbon to 5-3/16" long and "flag" the ends; adhere to designer paper (I used Glue Dots for this). 4. Using the 1/4" Circle Punch, punch only about 1/8" into top left of card (fold) to make an opening through which to thread the Cantaloupe Baker's Twine. 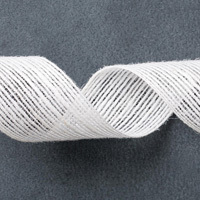 Tie twine in bow. 5. 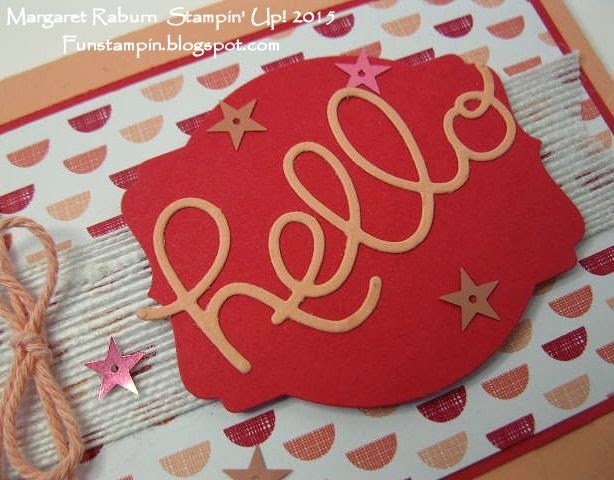 Diecut "hello" from Crisp Cantaloupe cardstock (use wax paper between cardstock and thinlit to help release the diecut more easily) and layer on a Real Red layer diecut with the second from smallest Deco Label Framelit. 6. Add several Crisp Cantaloups sequins from the In Color Sequins collection. Accessories: In Color Sequins, Crisp Cantaloupe Baker's Twine, Hello You Thinlits Dies, White Jute Ribbon, Deco Label Framelits, Big Shot, 1/4" hand-held Circle Punch, Large Polka Dot TIEF. You can use this card for any number of occasions! I plan to use this one for a thinking-of-you card for a friend. Thanks for visiting today; drop by again soon! Weekly Deals thru January 12!